Escobar, Pepe. 2018. “Future of Western Democracy Being Played Out in Brazil.” Information Clearing House. October 9, 2018. http://www.informationclearinghouse.info/50409.htm. It is only when the threat of popular participation is overcome that democratic forms can be safely contemplated. 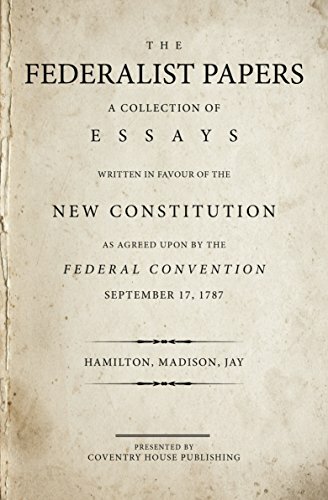 And that reminds me of a set of essays I was required to study many years ago, the Federalist Papers. Number 10 by Madison has always stuck in my memory. In order to guarantee the privileged property status of the wealthy elites against the interests of the larger public it was decided that the ideal form of government would be “representative democracy” over a very large population. The idea was to guard against “participatory” democracy. The “system works” as long as the reality or the illusion can be maintained that the “representatives” represent the public rather than those in possession of the wealth and power.